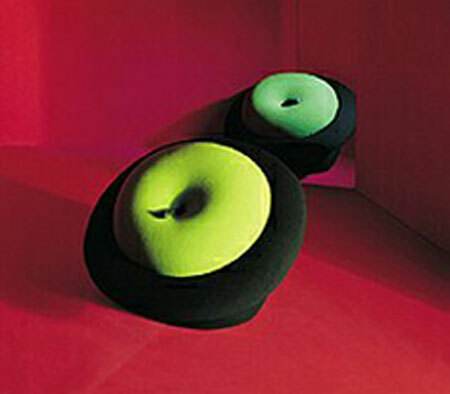 Magritta Chair, A Tribute To Magritte? The Belgian surrealist painter René François-Ghislain Magritte once said that he despised advertising and decorative furniture. But his contemporary, Roberto Sebastian Matta, created the Magritta decorative chair in Magritte's honor! 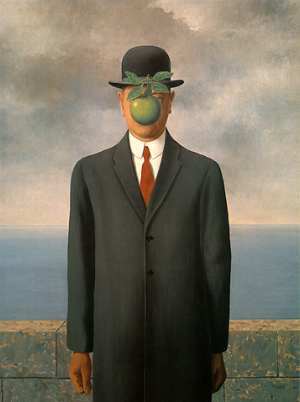 The Son of Man, Magritte's most famous work, was the inspiration for the Magritta chair and the painting was very characteristic of the surrealist movement in painting, where connections between objects were to be made in the minds of the viewers, not "emotionalized" by the artist. Chilean architect, come painter, sculpturer, and textile worker Sabastian Matta may or may not have have intended Magritta to be a respectful tribute, considering Matta's manifestation of the famous bolero hat and apple was to be sat upon. Did Magritte spurn Matta and participate in his ouster from the Surrealist movement after Matta's return from the Americas in the 1940's? Matta had begun to display more emotionalism in his work, which could have been one of the reasons he was dispelled from the group, but there were other, less professional, reasons as well... including that Matta's mistresses were wives of some of his European colleagues. The Magritta is being produced now by the Italian design store, Owo. 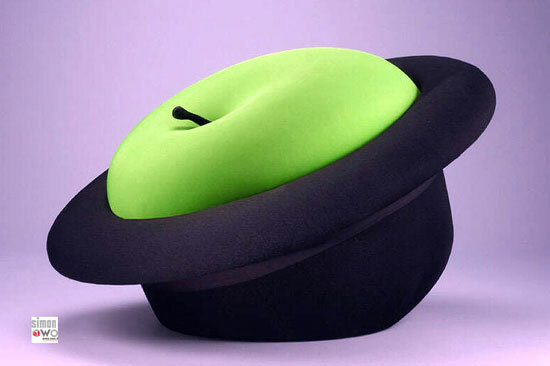 It is a beautiful chair, with a black covered shock resistant polystyrene bolero, covered with black elasticized cloth and the luscious green apple is made from cold-formed plastic foam covered with apple green elasticised cloth; the approximately 2 x 3 foot chair might just be functional. About $2100US and available through Amazon here. Whatever was going on between these brilliant artists of their time, the Magritta is a charmer that has symbolism and style far beyond its function.